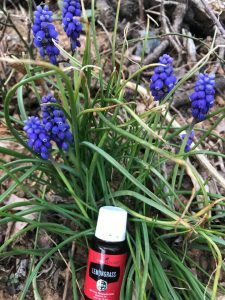 This page is dedicated to sharing with you ways you can take advantage of Young Living deals and team deals to win & save in April. Here is the short list: Read below for all the details and links to contests and forms. With Young Living you get so much support and encouragement to invest in your health and your family’s wellbeing. I know these past four years have changed my life. I feel younger than I am! And I love a good deal that helps me afford premium non toxic products for my life. Check out everything that you can get FREE this month! Dream Catcher is what I use every night in my diffuser and I had just bought a new bottle recently when YL offered it for free!! They must read my mind! Lemon I buy every month no matter what so getting a free one will be perfect. Tangerine YES…Vetiver with Lemon is one of my favorite things to diffuse and Free ER points….doesn’t get any better than this! Don’t get me started on Goldenrod, I will simply say “thank God for Goldenrod!” and I have never tried the Bath Bombs but I will! Radiant look? Yes, please! Mix this spring-scented oil with your face wash and your skin will look fresher and firmer in no time! Lavender Calming Bath Bombs, 4 pk. 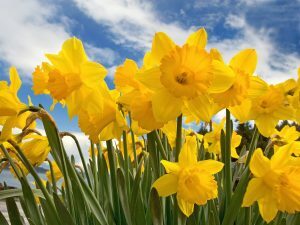 Seek renewal this spring! Relax in a Lavender-scented bath that also treats your skin to ultra-hydrating ingredients. Soothe and soften the wear and tear on your skin with a soak in a bath that’s as fresh as it is floral after a long day or adventure. Let’s roll down the windows! Soak cotton balls with this uplifting scent and stash them in your car vents so the smell of tangerines will forever recall bliss-filled road trips. Find daily gratitude with Tangerine! Rub this zesty-smelling oil, mixed with V-6™, on your temples each night as you give thanks for your blessings! Diffuse Lemon oil so your house can smell like it’s nestled in a lemon grove while it beats back odors at the same time. While you’re jumping in and out of pools, lakes, and oceans, you’ll want to go makeup free! Put your best face forward and use Vetiver as a part of your skincare routine. *Receive both of these ER Exclusives when your 190+ PV order is placed through the Essential Rewards program, which is the best way to save money and support your health. If you need more details on this, let me know! So my gift to one of you this month is a 15ml bottle of Young Living’s Lemongrass essential oil. 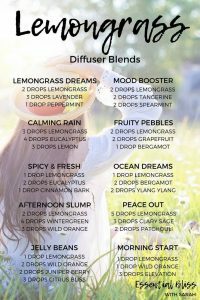 I love the lemony scent and the therapeutic qualities of this oil are off the charts (check in your Essential Oils Reference Guide to learn more) Here are some Diffuser Blend recipes you can use with this amazing oil. Lemongrass Vitality can be used in cooking, I put it in my rice and in Asian recipes. Make separate entrees for more than one category or for each new member you enroll. Posting a video of YOU unboxing your March Essential Rewards order on your Facebook wall or Spunky Oils. Be sure to tag me! 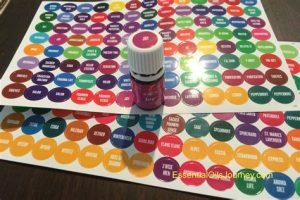 When you buy a Premium Starter Kit with me in March you will get a packet of essential oils label top stickers and as always an “Essential Oils Reference Guide” to empower you to know how to use your oils to best advantage! Young Living offers 4 starter kits: The Premium Starter kit with the oils and diffuser, Thieves kit, Ningxia Red starter kit, Savvy Minerals toxic free make up starter kit. 3. 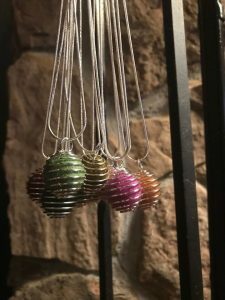 Join Essential Rewards or YL GO or YLGO+ in April for the first time this month and you will receive a beautiful diffuser necklace as my gift to you! Essential Oils are ESSENTIAL for vibrant living! If you USE your oils you will need to buy more, so join Essential Rewards to get the best deals. If you don’t know what Essential Rewards (ER) is, just click here and learn. 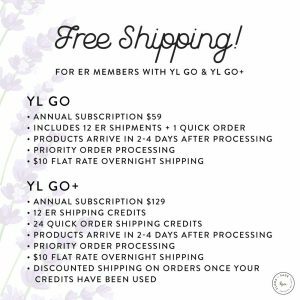 ER is the best perk of being a Young Living customer! If you can dream it, you can build it! Dream bigger than ever! From April 1-July 31, Help 5 will be temporarily paused as we roll out a new and exciting promotion. So while you won’t see the Help 5 tracker in the VO during this time, you’ll still have the chance to build your business using Help 5 habits! All the exciting details will be yours on April 6 at the Live Your Passion Rally.CLICK HERE. 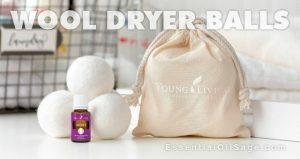 Woolen Dryer Balls and Lavender Essential Oil Congratulations to ____________! Being money conscious is part of doing your best for your family these days and I want to help you by passing on ideas that I am excited about. Young Living rewards their customers in ways you might never have heard before. I know we all are looking for ways to protect and invest in our well being with nontoxic, life-giving, plant based products that are affordable so I want to show you the multiple ways that Young Living and your team leaders bless their customers so you can benefit right away. All the details are explained in this blog, 8 Ways to Save BIG with Young Living and watch my video! I am here for you all. Feel free to text me, call me, PM me or comment here on my blog with questions or suggestions. I am so thankful to be in this wellness journey together!